Today I have another floral design to share with you. I guess I've been on a floral kick lately haha :) But I'm really happy with how this design came out! One of my favorite nail polish colors is Color Club "Holy Chic!". It is such a gorgeous cool-toned purple, and it is perfect in two coats! I used that as the base for my floral nails. I also wanted to add some metallic accents to this design so I used Salon Perfect "Gold Leaf" for the gold parts of this design. 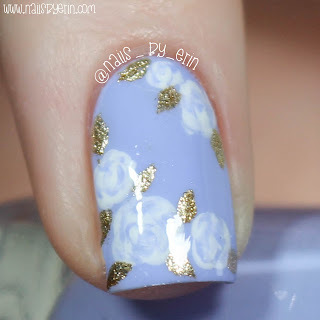 At the very last minute of this design I decided to tie in the gold onto the floral nails by making the leaves gold, and I am so glad I did! 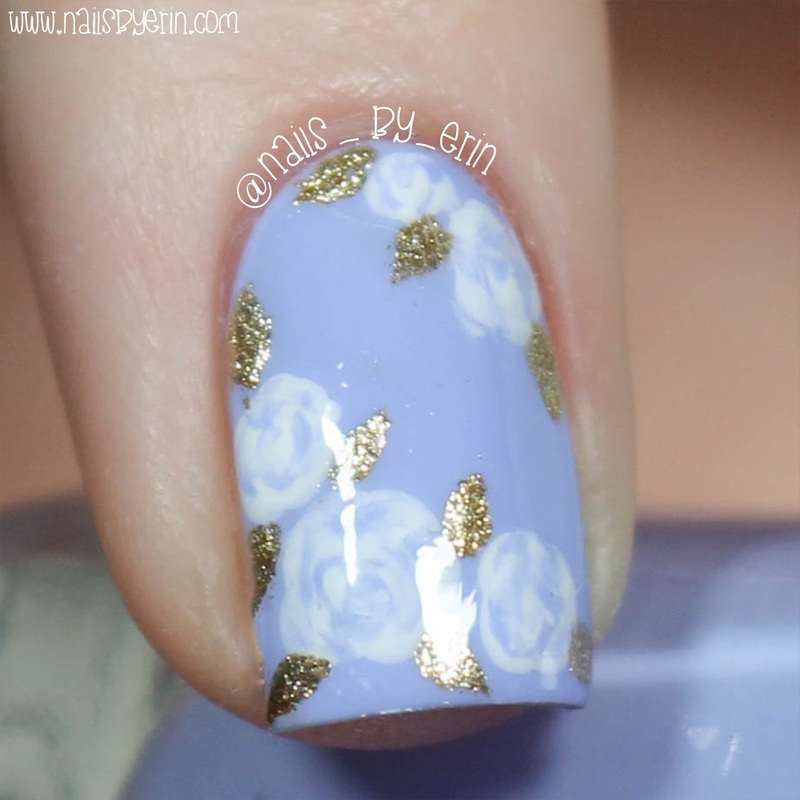 I think that the gold leaves look so cool and they really tie the whole mani together. I used some single chevron vinyls from Snail Vinyls to create the little V pattern on my pinky nail. 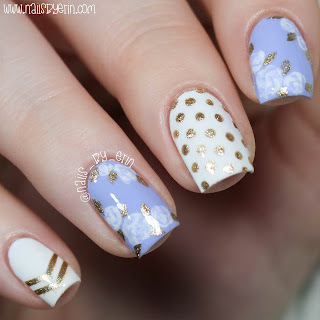 The rest of this design was done with dotting tools and a small detail brush by Picture Polish. And here's a macro so you can see the flowers better. Since I only used two colors for these, they are slightly more faint than other flower patterns that I have done in the past. But I kind of like that about them!